A pair noted regularly at the Mare Perchée in late winter and spring, from 8th February to 22nd May. Number supplemented occasionally by additional birds (eg, 3 males on 5th April) to a maximum of 8 on 10th May. Presence in park somewhat erratic as easily disturbed by dogwalkers. 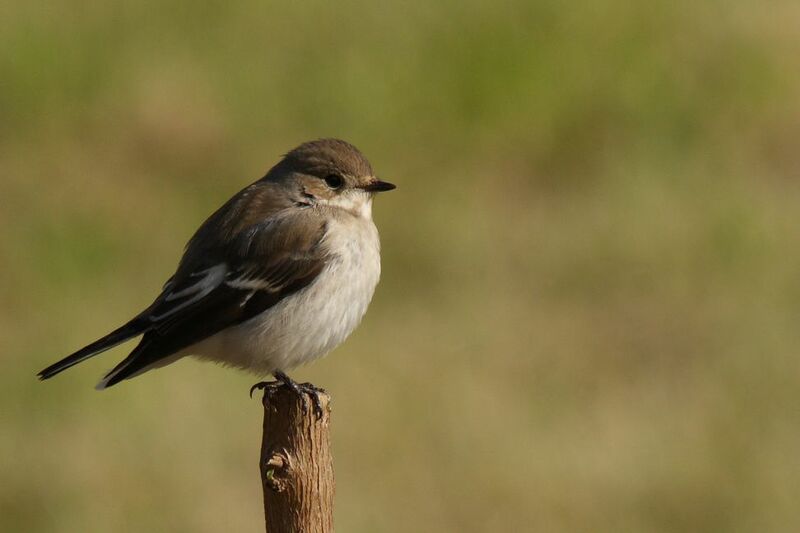 Although not a breeding species, 1 or 2 birds were seen on an almost daily basis in the park. Numbers supplemented in late summer and autumn by additional birds, no doubt roaming juveniles and occasional migrants (eg, 3+ on 17th June, 3 on 28th August – at least 3 birds regularly noted throughout September). Record numbers of f.verspertinus were recorded nationally in spring 2008, and it is therefore a little surprising that Beaumonts did not have any more ! Though not a breeding species at Beaumonts, wandering ‘local’ birds seen reasonably often in summer and early autumn, with 1-2 birds (including juveniles) noted on an almost daily basis between 29th August and 16th September. During this time birds could be seen drifting in towards the park and hunting down the local swifts – quite a spectacle ! Recorded in small numbers throughout the year. Extremely rare at Beaumonts, this was one of the highlights of the year. The bird was discovered in the Savanna, perched in a small low tree and almost completely hidden. It remained so throughout the entire day, was not seen to fly at dusk and had disappeared by the following morning. A small increase to 30 birds (presumably migrants) 19th August constituted the last double-figure-day, with daily numbers then dropping to around 5-6 birds until the end of the month. Common spring and autumn passage migrant. Regular passage migrant in spring and autumn, although much scarcer than the preceding species. Seen more frequently in 2008 than in previous years, no doubt due to increased observer coverage, particularly during the summer months. Interestingly r.riparia was observed at the park (usually 1-4 birds) throughout the summer, with 4 records in July (24th, 25th, 27th, 30th ) and 5 records in August (16th,17th, 18th, 19th, 30th ). First recorded in spring with a bird singing discreetly near the Coffee Dome on 15th May [DT]. At least 2 birds were present on 8th June [LS]. 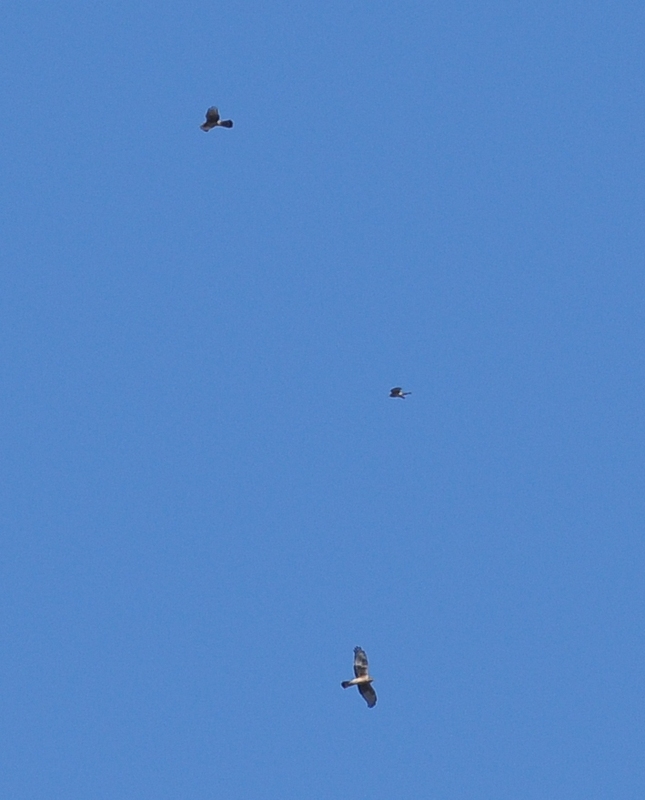 3 singing birds noted on 15th June were presumed to be 2 males and a female [DT]. An adult was observed feeding 2 juveniles on 14th July [LS]. Between 1-4 birds noted almost daily up to 24th September, usually at the reedbed although birds could also be observed flying back and forth between there and the tall weeds growing in the Savanna nearby. A very warm and different-looking individual, presumed to be a migrant, was found skulking in the Mare de Mileu on July 30th [LS]. The bird was seen again a few days later on August 5th [DT]. First reported in spring on 1st May [PR]. On 25th June an adult was observed carrying food to a nest near the Compost and a very young and tail-less juvenile was seen in the Savanna. No doubt the same individual as last year, the identification of which is still open to question. A late migrant was present for 4 consecutive days near the Mare de Mileu, from 25th – 28th October [AB/DT/PR].